prepare the company for fundraising. The book is a short and easy to understand, yet complex concept of what to do and what not to do when you want to launch your startup and find investors. Written by Milan Steskal, a founder of mental health tech startup with customers on three continents and two successful fundraising rounds. 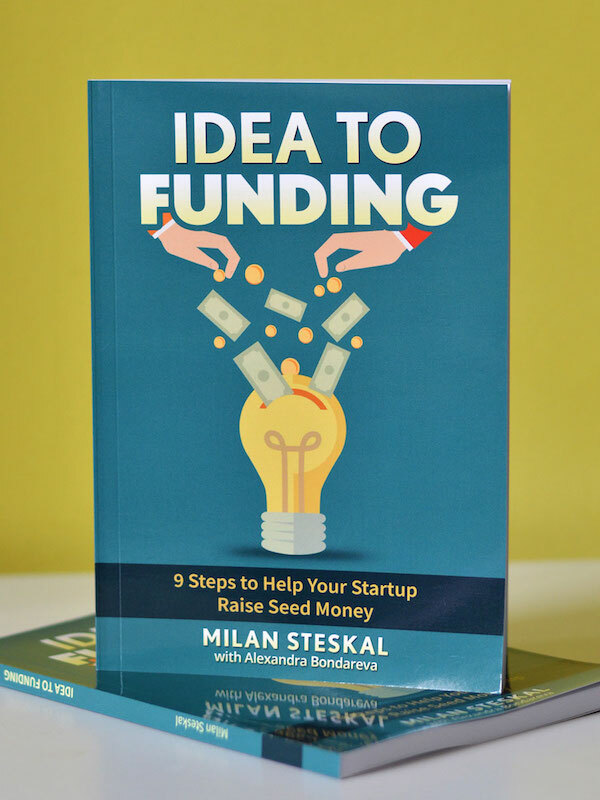 “Idea To Funding: 9 Steps to Help Your Startup Raise Seed Money” is not just another startup book. It is exactly about what the title suggests. It is your first step on the exciting journey to make your startup idea a real company that is ready to meet investors and raise its first seed round. How to find out whether your idea really has a potential? How to build your product? How to find customers and sell to them? How to find investors and get funded? 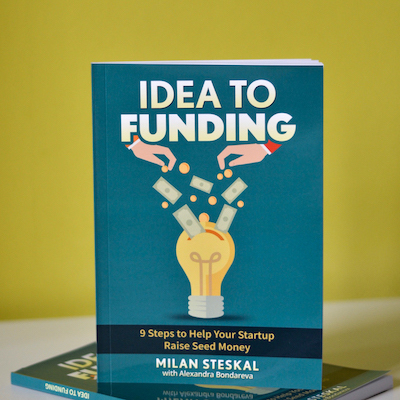 I wish I found a book like Idea To Funding when I started my first startup in 2011. There were many other great books that helped me, of course. I was, however, missing bigger picture, a playbook that would guide me through the whole process and explain all the basics. My first startups failed miserably, but I managed to learn the lesson. I wrote this book as an internal therapy to help me better focus on my work while I was working on my third startup. When I published the book, we had raised two seed rounds and support customers in USA, Australia, New Zealand and Israel. The book is organized in an easy-to-understand playbook that shows you what the most important parts of your journey from the very beginning are. To help you better understand the theory that the book speaks about, I’ve added a lot of real life examples. Both my own as well as the ones by the companies that everyone knows, like Apple. 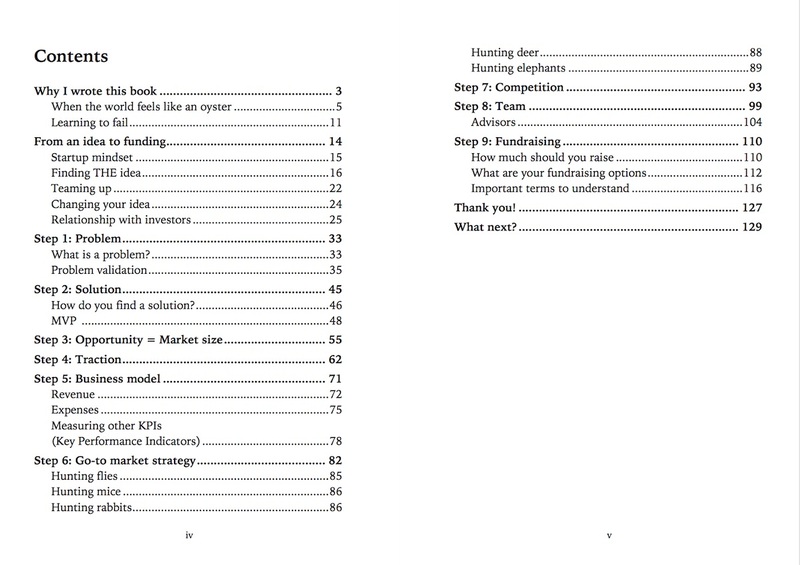 The first chapter starts with setting up the right startup mindset and explains the startup basics. Don’t worry when you don’t have any previous experience with startups, the book is exactly for you as well. Then, to help you get ready for pitching to investors and raising money, the chapters represent topics that should to be covered in your fundraising investor deck.